Stacey Shubitz is the Chief of Operations and Lead Writer for Two Writing Teachers. She is a certified literacy specialist and a former classroom teacher who taught fifth grade at P.S. 171 in East Harlem, NY and fourth grade at The Learning Community in Central Falls, RI. In 2009, Stacey turned her passion for supporting teachers with balanced literacy instruction into a career as a literacy consultant based in Central Pennsylvania. In addition, Stacey works as an adjunct professor. She has taught graduate courses at Lesley University and Penn State – Harrisburg. Stacey is the co-author of Welcome to Writing Workshop: Engaging Today’s Students with a Model that Works (Stenhouse Publishers, 2019), the author of Craft Moves: Lesson Sets for Teaching Writing with Mentor Texts (Stenhouse Publishers, 2016), and the co-author of Day by Day: Refining Writing Workshop Through 180 Days of Reflective Practice (Stenhouse Publishers, 2010). Stacey has a M.A. in Literacy Education from Teachers College at Columbia University and a M.S.Ed. in Childhood Education from Hunter College of the City of New York. A Kappa Delta Pi Teacher of Honor, Stacey presents at local, state, and national conferences and has published articles published for a variety of publications. Stacey resides in Pennsylvania with her husband and children. 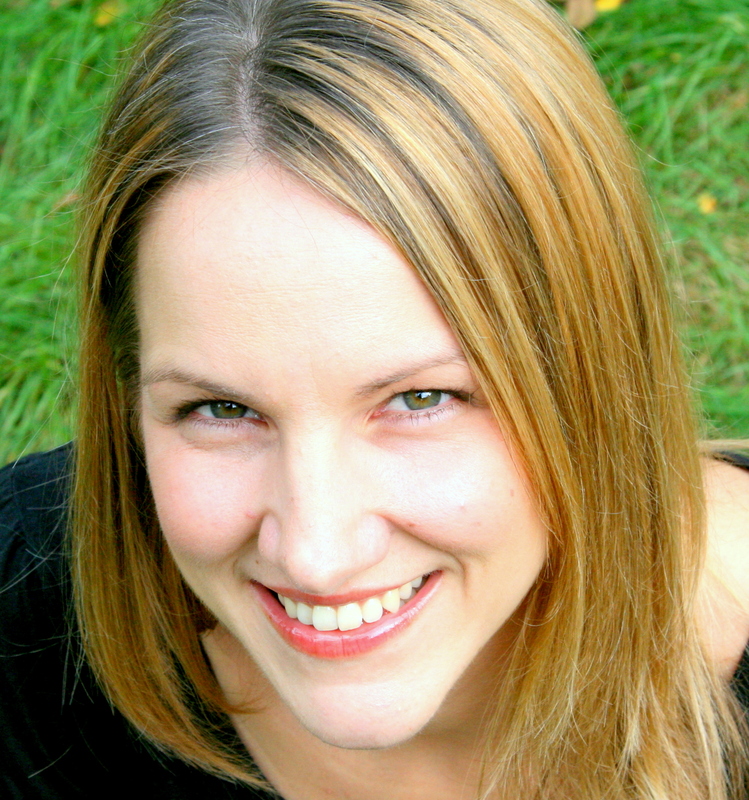 She blogs about literacy and parenting at Raising a Literate Human and tweets @sshubitz. If you’re interested in having Stacey speak at a conference or in your school district, then please contact Leah Coombs, lcoombs[at]sde[dot]com, at Stenhouse Publishers/Staff Development for Educators. Leah can provide you with more information regarding speaking engagements. You may also e-mail Stacey directly at stacey[at]staceyshubitz[dot]com. In 2007, Stacey co-founded Two Writing Teachers with Ruth Ayres, a widely-followed blog solely devoted to the teaching of writing. In September 2013, when Ruth stepped away from the blog, Stacey gathered a dynamic team of co-authors and re-launched with new voices, all dedicated to maintaining the blog’s original mission. Betsy Hubbard is a certified early childhood educator. She received her B.A. in Early Childhood Education in 2001. Her teaching career began in Kalamazoo, MI with preschool and kindergarten students. She has continued to teach early and elementary levels in Michigan. She is a poetry advocate and hopes more educators will share their poetry appreciation with their students. Betsy is the creator of Chalk-A-Bration, a monthly celebration of poetry and poem illustrations using chalk. She loves music, running and blowing on dandelions. Betsy can be found at I Think in Poems, Teaching Young Writers, and on Twitter @Betsy_writes. Beth Moore has over a decade of experience working as a national literacy consultant for the Teachers College Reading and Writing Project (TCRWP) based at Columbia University. This work has taken her into K-8 classrooms all over the country to support teachers and administrators with reading workshop, writing workshop, and all aspects of a balanced literacy curriculum. She has been a contributing author to many TCRWP resources, including the Running Records Assessments, the Curriculum Calendars, the Learning Progressions for Writing, and the Performance Assessments for Reading and Writing. 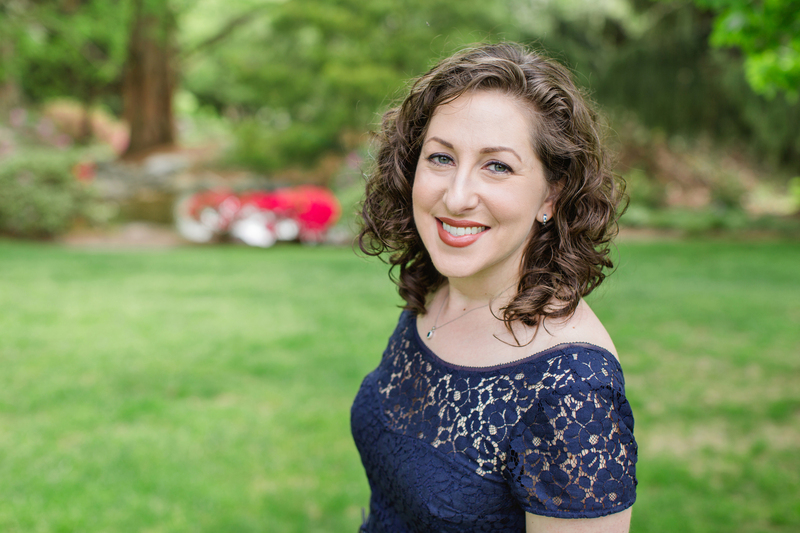 Beth began her teaching career as a first-grade teacher in Orange, MA and then was a fifth-grade teacher in Newtown, CT. She holds an M.Ed in Curriculum and Teaching from Teachers College, Columbia University. She has taught numerous graduate courses at Columbia University and presents at conferences around the country. Beth coauthored the book How-To Writing: Writing to Teach Others with Lucy Calkins and Laurie Pessah as part of the Units of Study in Opinion, Information, and Narrative Writing (Heinemann, 2013). Recently she coauthored with Lucy Calkins the book If…Then…Assessment-Based Curriculum, K-2, part of the Units of Study for Teaching Reading (Heinemann, 2015). Beth and her family live in the mountains of northern Vermont, not far from where she grew up. She currently works as a district literacy consultant, graduate course instructor, writer, and editor. If you are interested in having Beth come to your school for a speaking engagement or to work with your teachers, or if you are interested in scheduling her to speak at a conference, please contact her directly at beth [at] elizabethmoore [dot] work. In June 2015, we added two additional classroom teacher voices, Deb Frazier, and Kathleen Neagle Sokolowski, to Two Writing Teachers. Deb Frazier works with educators and students in Central Ohio as an instructional technology coach. She supports teachers and students as they create blended learning environments where technology serves to amplify student learning. Deb holds a license as an Early Childhood Educator and Special Education K-12 and a master degree in Curriculum and Instruction. Deb has taught kindergarten, first grade, second-grade, and students with special needs grades kindergarten through fifth grade. She lived in Japan and found this experience broadened her thinking about the world, the students, and teachers she works with each day. Deb strives to help students understand the varying perspectives of others, to be accepting, and to learn about the person behind the one they see. Her passion for acceptance and connecting with others is what led her to work as an instructional technology coach. Deb is co-founder of Global Classroom. 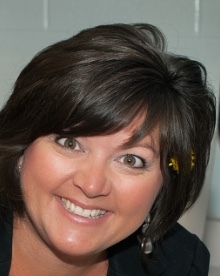 She blogs about teaching at Primary Perspective and tweets @Deb_Frazier. Deb and her students find digital tools have become their hands into the world. They blog at Behind The Scenes in First Grade and tweet @Frazier1st. Deb resides in central Ohio with her husband and two daughters. Kathleen Neagle Sokolowski is a third-grade teacher at Saltzman East Memorial Elementary School in Farmingdale, NY. Certified in Elementary Education, Special Education, and Literacy Studies, Kathleen has experience in general and special education, previously working with sixth grade and kindergarten. 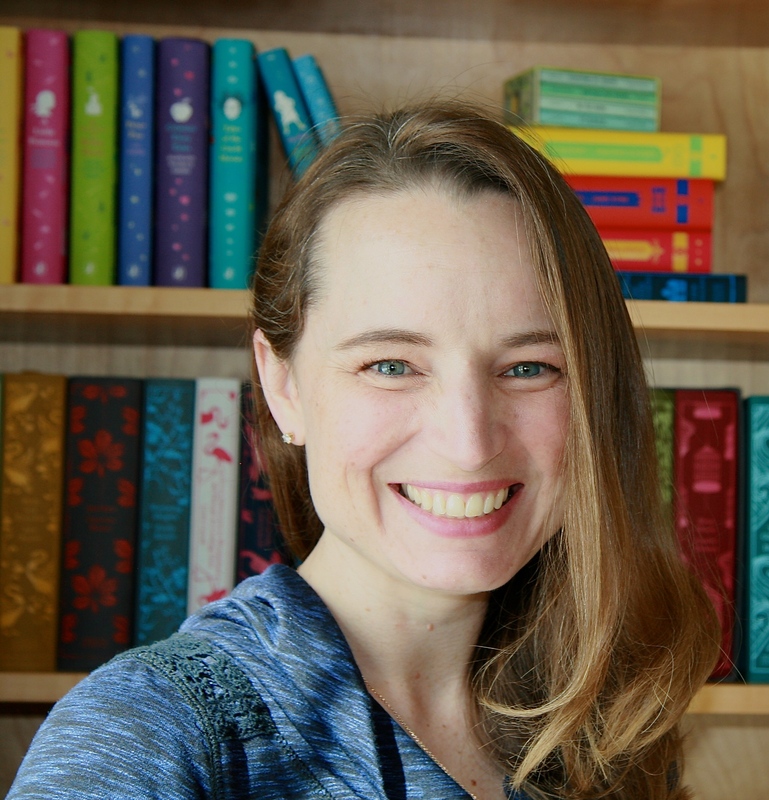 One of the co-directors of the Long Island Writing Project, Kathleen has facilitated the Summer Institute, book clubs, workshops, and writing retreats for teachers. She is a wife and mother, residing in Wantagh, New York. Kathleen shares stories from the classroom and life at her blog, Courage Doesn’t Always Roar, and tweets @MrsSokolowski. She is thrilled to be part of the Two Writing Teachers community, where so much collegial conversation and sharing leads to inspiration in the classroom. 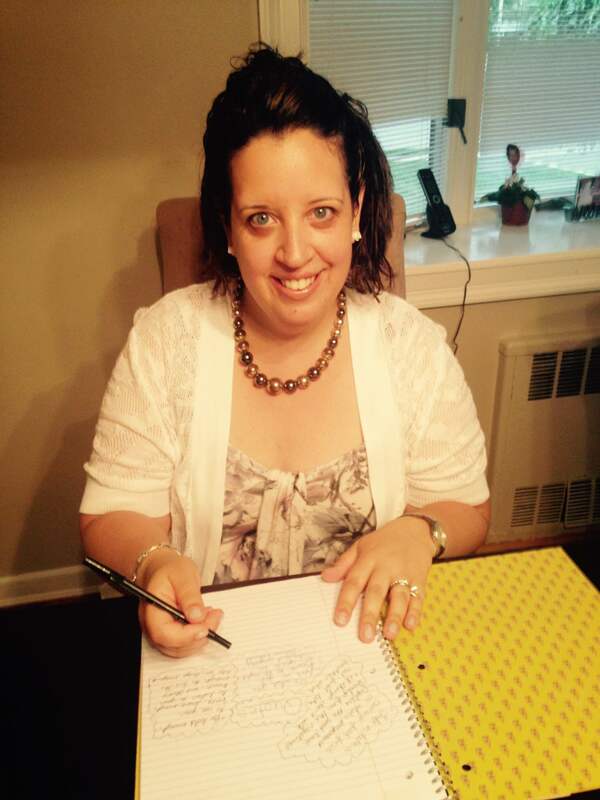 In May 2016, Melanie Meehan became part of the Two Writing Teachers co-author team. Melanie Meehan is the Elementary Writing and Social Studies Coordinator in Simsbury, CT, and is passionate about developing young writers, as well as human beings with curiosity, empathy, and responsibility for the world. She is a regular contributor to Choice Literacy and Lead Literacy, was a member of the writing team for the Connecticut Social Studies Frameworks, and she slices at Just Write, Melanie. Her professional book, Everyone Can Write: Entry Points, Bridges and Pathways for Striving Writers, will be published in August 2019 by Corwin Press. 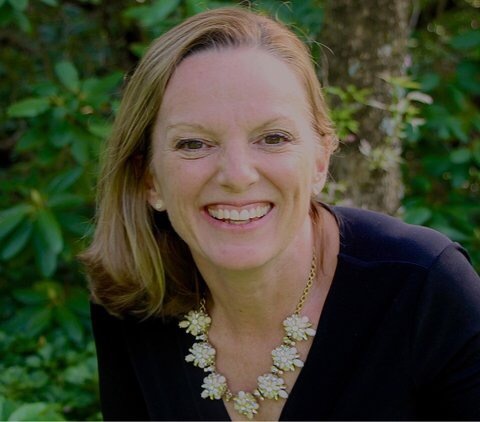 Melanie holds a B.A from Cornell University, a Masters in Special Education from the University of Hartford, and her Sixth Year in Educational Leadership from Central Connecticut State University. Additionally, she has an MFA in Creative Writing from the Solstice Low-Residency Creative Writing Program of Pine Manor College. She has published articles in Highlights Magazine, and won the 2016 Tassy-Walden Award for New Voices in Children’s Literature. You can find her on Twitter @MelanieMeehan1. In February 2017, we added a middle school voice to our co-author team. Lanny Ball is a certified reading consultant and reading specialist, as well as a former classroom teacher. For fifteen years, Lanny taught English Language Arts to seventh and eighth graders in both Oregon and Connecticut. In 2009, Lanny left the classroom to become a literacy coach and eventually a national staff developer for the Teachers College Reading and Writing Project (TCRWP) based at Columbia University in New York City. Lanny holds an M.A.T. from Willamette University in Salem, Oregon, as well as degrees in Remedial Reading and Remedial Language Arts and Reading Consultancy, both from the University of Bridgeport in Bridgeport, Connecticut. Lanny has taught graduate courses at Portland State University, where he is an adjunct professor. In April 2018, we added a primary teacher to our team. Kelsey Corter is certified in early childhood and childhood education. She received her B.A. in Elementary Education from Edgewood College. Kelsey taught first grade in Sun Prairie, WI, and now teaches Kindergarten at a TCRWP model literacy school in New York City. Kelsey helps each of her students identify as writers, rely on writing for many purposes, and find joy in writing – while keeping inquiry, choice, inclusion, and play at the center. Kelsey built a strong foundation and passion for balanced literacy, thanks to an unparalleled mentorship with her first literacy coach and a home-grown TCRWP Summer Institute. Kelsey knew she had to be closer to the Project and progressive teaching in NYC. Since moving to New York, Kelsey has worked closely with staff developers, consultants, and authors. She frequently attends institutes and workshops with TCRWP and Bank Street College of Education. Kelsey’s classroom is featured in Kids 1st From Day 1, by Christine Hertz and Kristine Mraz. Kelsey resides in Brooklyn with her husband, dog, cat, and a large collection of tropical plants and succulents. She writes about child-centered teaching at http://smallsteps.blog and Tweets @kelsey_corter. I plan to return to writing frequent Slice of Life articles on Tuesdays. I was very active in March 2015, and i enjoy re-reading those near-daily blogs. I love this blog and the work you do and the amazing tips you provide, which I’ve been testing out in my creative writing studio. Wanted to say “hi!” To all, and Dana we’re practically neighbors, I live in Downers Grove. We are kids and we do write! We look forward to following this blog! We look forward to finding you on twitter! I attended a great Women’s History Conference last week. After reflecting and pondering I wrote about attaching audio recordings to QR Codes to enhance an exhibit. Thank you for sharing! I just wanted to leave a note to say that we hope you get many readers and comments, so please share your link on the Tuesday call for Slices post, as well. Thanks! I have passed the Butterfly Light Award to you. Visit my blog http://wp.me/p3O5Jj-hn for details. Thank you Norah! That is lovely. What a nice post. 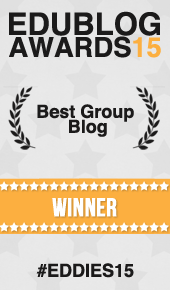 Pingback: Roundup: Teacher Blogs Part II | Mostly True Stories of K. Renae P.
How do I join the Tuesday group? I participated in the March Slice of Life challenge this year, and since graduating from UCF I now have some extra time to share weekly. Just jump right in on Tuesdays by leaving a link, Rebecca. I really wanted to participate in the Slice of Life Challenge, but I am a little late to the party. I am a middle school math teacher with a passion for my students and a commitment to daily blogging…I also have a medically-fragile son who puts another spin on things…Please stop by my blog The other side of the equation: A story of life, love and math! Excited to be a part of this community! As an educator passionate about writing and a writer who loves to share my craft, this site provides a place for me to mingle with other like-minded people! Thank you for sharing such a wonderful resource! Your blogs help me be a better coach. You always seem to be one step ahead of me and know just when I’m going to need an extra tidbit to support a teacher. We are a new education website (www.stageoflife.com) looking to grow our resources. We would love to discuss education trends. Recently, we quoted Troy Hicks, English professor at Michigan University and author of The Digital Writing Workshop, on our “digital literacy” page as we look to help teachers use blogging in the classroom. It would be an honor to quote you as well. P.s. Our site has a variety of education resources including: national monthly writing contests, free lesson plans, mentor texts, etc. We are working to enhance our education pages; any ideas or suggestions would be greatly appreciated. Was hoping you can give me some direction. . ..I’m looking for some kind of list or article that identifies what are the characteristics of effective reading and writing classrooms. Do you happen to have any leads? I’d suggest looking through the citations in recent professional books on the teaching of reading or writing to find relevant journal articles. I just came across your site when googling Katie Wood Ray. I’ll definitely be checking back often! I am beginning a daily writer’s workshop with my PK-K students in a public Montessori school. Today, we were practicing the routine of the workshop (I was planning on beginning Monday) and one student said “can we just do it now?” I asked, do we want to start now? I received a resounding YES!!!!! Anyways, for the following 40 minutes, I had 22 4, 5, and 6 year olds who were completely engaged in creating books! Really really great books! It was amazing! Brought tears to my eyes…can’t wait to continue! I am glad to find your website and will check back frequently for writing tips. I just came across your blog and it made me so happy! I am a staff developer at the Reading & Writing Project (this is my sixth year) and seeing this was incredibly inspiring. This is what it’s all about!! If you come to the April reunion at TC let me know! I’m a former teacher turned writer. I found your site to be great. Thanks for sharing your ideas. I am so glad I stumbled onto your blog today. You gals are awesome!!!! I will keep reading for more perals of wisdom! I am so excited to come across your blog. Thank you for taking the time to share your thinking and resources. I was a part of a school district that was moving forward with balanced literacy, reader’s workshop, writer’s workshop and word study, but I moved and no longer work in a place where this type of teaching and pedagogy are the norm. I greatly miss it. I am hoping to post one of my units of study up in the next week. Thanks again! WOW! What a tremendous resource. I was very fortunate to meet you during Lucy’s small group session. Sorry I was unavailable to say good bye on the last day but I cannot wait to share this new resource with our teachers. Please stay in touch. Lovely Blog! We need more education blogs of this quality. Great work and thanks for the link to Teaching Heart! I am thrilled that you alerted me to your blog. It has tons of useful information, and it’s also fun to read. I will definitely pass your site information on to educators throughout the country when I do my “dog and pony” presentations at state and regional IRA conferences. Thanks for reaching across the miles to each other, and for sharing your wisdom with the rest of us. I’m building a blog on children’s poetry which you might find useful. Please place it in your blogroll if you feel others might make use of it. Several teachers in the UK have used it in their classrooms. I am pleased to announce that the first online issue of Launch Pad has now been published. The issue is freely accessible (open access) on the magazine web site. Our January/February “Animals” issue features creative works by talented young authors and illustrators from eleven states and from Australia, New Zealand, Wales, and England. You will find creative fiction, folktales, poetry, and nonfiction, complemented by imaginative illustrations by young artists using a variety of colorful media and artistic styles. I know you will enjoy reading our first issue! Launch Pad still needs contributors. We are looking for works for our upcoming issues about Fairy Tales & Fantasy, Sports, Summer Fun, Mysteries, and Heroes. If you are a teacher, librarian, or parent, please encourage young people to submit their work! We still have space in all of our upcoming 2008 issues, and Launch Pad especially needs young artists. I hope you will share this announcement with the members of your blog. Enjoy the magazine! Any chance you can post what your schedule looks like for a week or two? Showing how you manage writing conferences and reading conferences as well as content? This is indeed a wonderful chance find for me, tripping across the cyberspace in search of something new to do for the new year!! Keep up the good work and keep young people writing! Your postings would further inspire me . thanks. I just wanted to let you know that I’ve enjoyed reading your blog and have added you to my site’s blogroll. Thanks for all your thoughtful work! Yes, I researched your book a ton before buying it because I couldn’t exactly figure out where to buy it. Or actually I was trying to find the most convenient place to get it. Good luck in future ventures in writing. Thanks for your support of my students’ book. All of the proceeds go to P.S. 171’s Visiting Author Fund. Hence, you’re purchase will help bring published authors to the students of P.S. 171. Thanks! Checked out your blog… it’s great! I was recently introduced to your blog by A Year of Reading. I am glad to have found it! I recently purchased Deal With IT! and it is exciting to find this site to supplement my love of that book. Please visit my blog any time. I just got on your site! HOLY MACACHAROLI ..you two are great! You both inspire me!